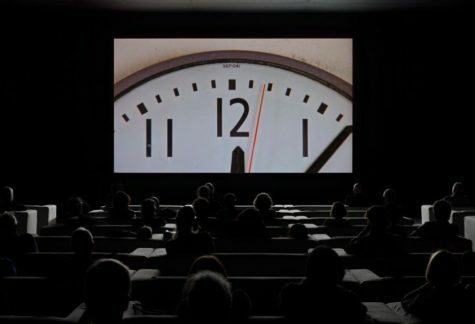 Christian Marclay’s The Clock (2010), which opened at Tate Modern earlier this week, has been hailed as one of the first masterpieces of the 21st century. The 24-hour film, a moving-image collage made from excerpts of thousands of films that feature timepieces from clocktowers to pocket watches, is synchronized so that it actually tells the time. It also links clips from disparate movies from 100 years of cinema in inspired, spellbinding ways. It is a miraculous feat of editing. And it has enthralled audiences around the world. But in this week’s The Art Newspaper podcast, Marclay talks about the demands made on him as he edited the film over three years.